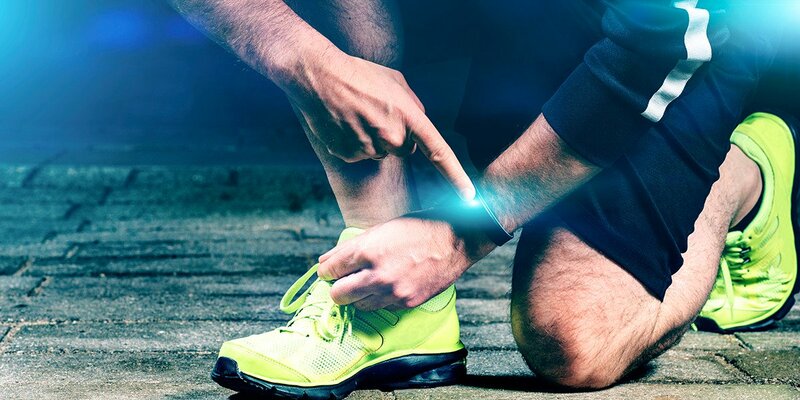 In Part 1 of this two-part series on using a heart rate monitor to increase fitness, we discussed the basics of using a heart rate monitor and how to determine your base heart rate. Make sure to read Part 1 moving into this advanced training. When you’re looking to increase your fitness, your Lactate Threshold is actually a lot more important to your training than your max heart rate. Lactate Threshold identifies the pace that you challenge your body’s ability to clear lactic acid from your muscles during a hard training or racing effort. You can base it on 85% of your max heart rate, or use the average rate seen during a 20-30 minute maximum effort. As you get fitter, your LT will increase, meaning that you can do harder work for longer periods. This is appealing to competitive athletes, as well as those looking to push their bodies into responding to a more demanding workout. So how do you improve your Lactate Threshold? Not surprisingly, you have to train it. You can do so through both steady state LT training, and Anaerobic training. Here are a couple workouts to try to increase your Lactate Threshold. After warming up for 7-10 minutes, raising your heart rate into your aerobic zone, increase your pace or resistance sufficiently to bring your heart rate to a few beats above your LT. Stay at that level for five minutes. Recover in your aerobic zone for 3 minutes. Repeat your LT effort. This will provide you with a 20 minute workout. You can repeat alternating your aerobic and LT training periods for one or two more cycles, follow up with a cool down, or add on the anaerobic workout described below. These periods of training slightly above your LT will help you to increase that level as well as teach your body to work under increased demand. You may want to set up a nice distraction during this workout by firing up your Passport system and putting together a great playlist. Warm up by raising your heart rate into your aerobic zone for 7-10 minutes. Follow with 20 minutes straight of training at your LT. This drill is great for your metabolism and also increases your sustained endurance. You can repeat this twice after a five minute break in your aerobic zone. Anaerobic training is incredibly demanding. The effort level is somewhere between 90% to 100% of your maximum heart rate and it is a level that you cannot maintain for more than a minute and a half to three minutes. Anaerobic training will help to raise your lactate threshold and is also great for increasing your metabolism and your tolerance for uncomfortable workout and race situations. I like to use anaerobic training in an interval format, which results in interesting workouts that are also very time efficient. In order to give your heart rate monitor time to respond to the increased demand, anaerobic training intervals need to be at least a minute. Give this workout a try! Warm up for 7-10 minutes, getting comfortable in your aerobic zone. If you like, complete one of the Lactate Threshold workouts above, or head right into your anaerobic intervals. Increase your effort level until your heart rate reaches 90%. Continue to hold that heart rate and effort level for the remainder of two minutes (your time spent getting to your anaerobic heart rate counts toward the 2 minutes). Return to your warm up pace and effort level for two minutes, making sure to keep the pace easy enough that you return to an aerobic level. Continue repeating your intervals for up to five rounds. Follow up with a five minute cool down. In order to differentiate this workout from Lactate Threshold training, it is essential that you work at a low enough effort level during your recovery periods to return to an aerobic training level, even if it means a longer recovery or less effort than you expect. This will ensure that your interval sessions remain at a high quality throughout the workout and that you train your body to recover quickly from intense efforts. Now that you have the workouts, how often should you do them? Since intense training leads to such tremendous improvements in fitness and metabolism, it’s easy to think that more is better. This can lead to overtraining and even injury, which can reduce your fitness and motivation over time. If you’re just getting started, add in one of these workouts each week. Build up to adding in a second and even a third over time. You can also alternate more intense weeks with weeks of longer workouts at a lower effort level. Complement your intense training with a return to endurance workouts, ensuring that your heart rate remains at less than 80% of your maximum. This will allow you to continue to build strength and endurance, without overly fatiguing your body. Remember to build up gradually, giving your body and your mind time to adjust to the training demands, as you enjoy seeing your fitness level up in response to including an intelligent approach to heart rate training in your home fitness program. For more ways on establishing your base heart rate and train with a heart rate monitor, check out this article.